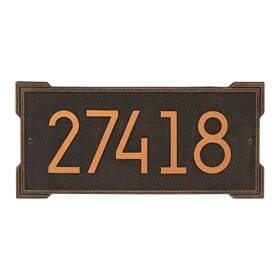 Make it easy for visitors and delivery workers to identify your house address numbers with the Whitehall Roanoke rectangle address plaque (shown in Coastal Clay). The Roanoke wall address plaque can be customized to hold up to five 4” address numbers and can be installed on your mailbox post, on a column, or as a lawn marker. 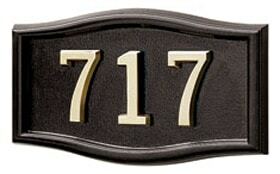 Choose from seven different finishes and accents. 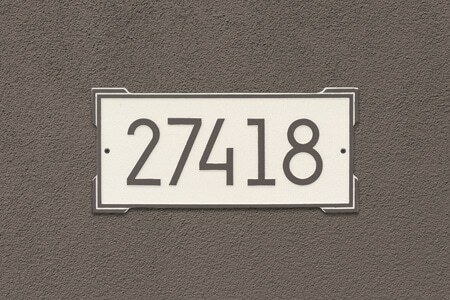 This rectangle address plaque features Whitehall Manufacturing’s all new Alumi-Shield coating. This protective coating creates a durable and beautiful finish. The cast aluminum address plaque also features a heavy-duty powder coated finish. 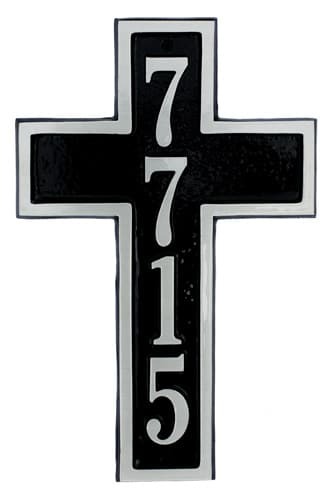 Together, the powder coat finish and Alumi-Shield coating helps protect against harsh weather and environmental elements. 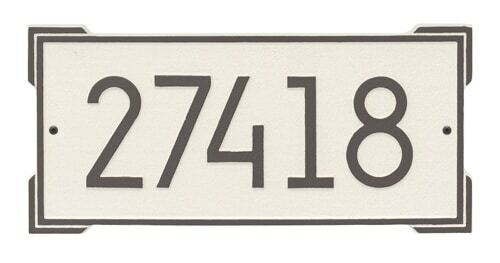 The end result is an attractive appearance for many years. 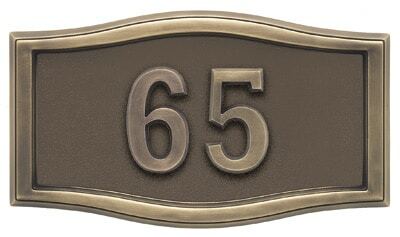 Each Whitehall Roanoke address plaque comes with Whitehall’s industry leading 5-year warranty. Purchase the optional solar lamp to illuminate your wall address plaque. 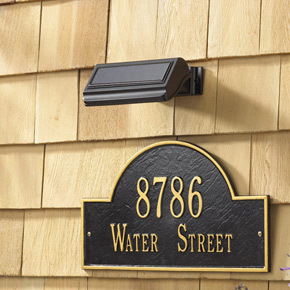 The solar lamp is designed to keep the rectangle house address plaque visible between dawn and dusk. 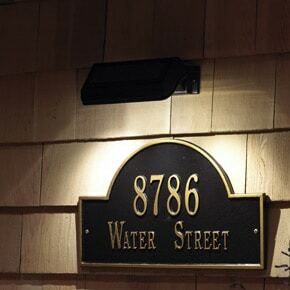 The lamp can shine up to 14 hours and will automatically turn on at dusk and off at dawn. 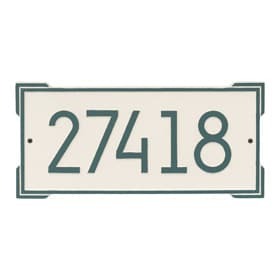 Address Plaque 7.75" 16.25" 0.325"